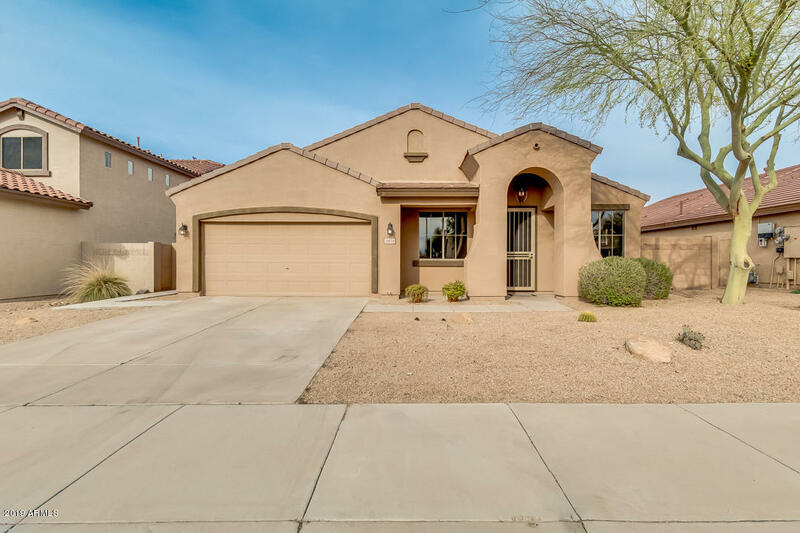 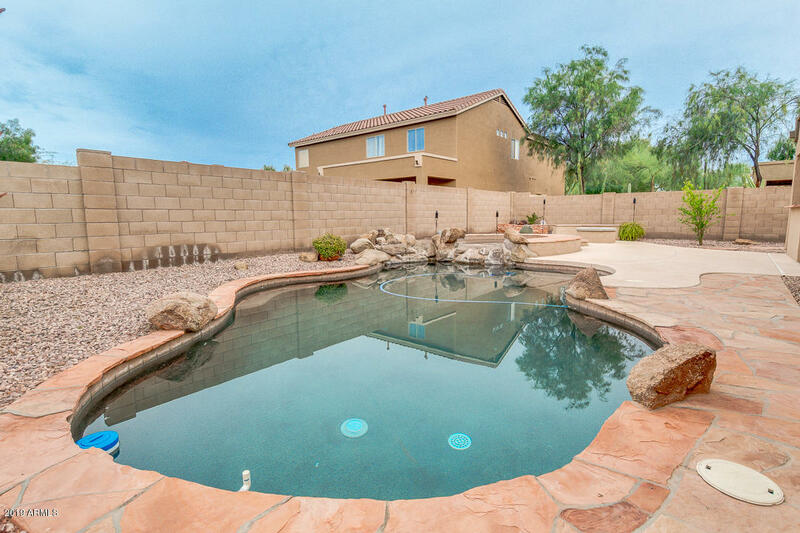 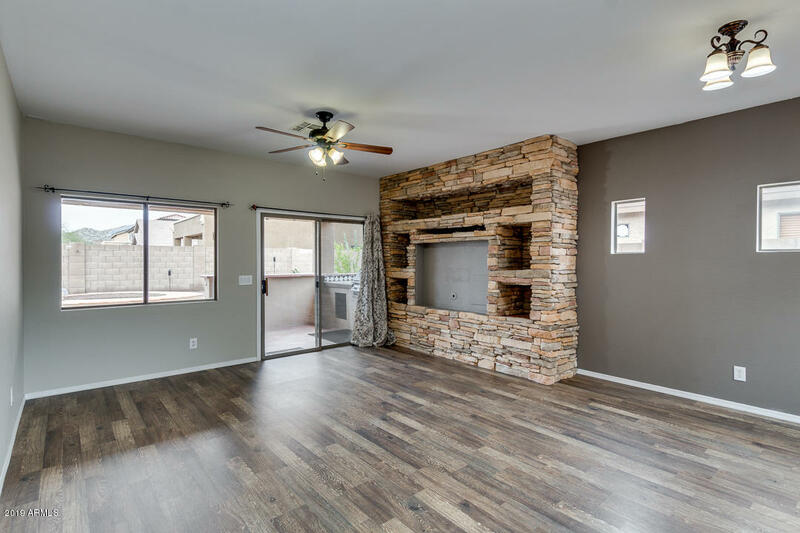 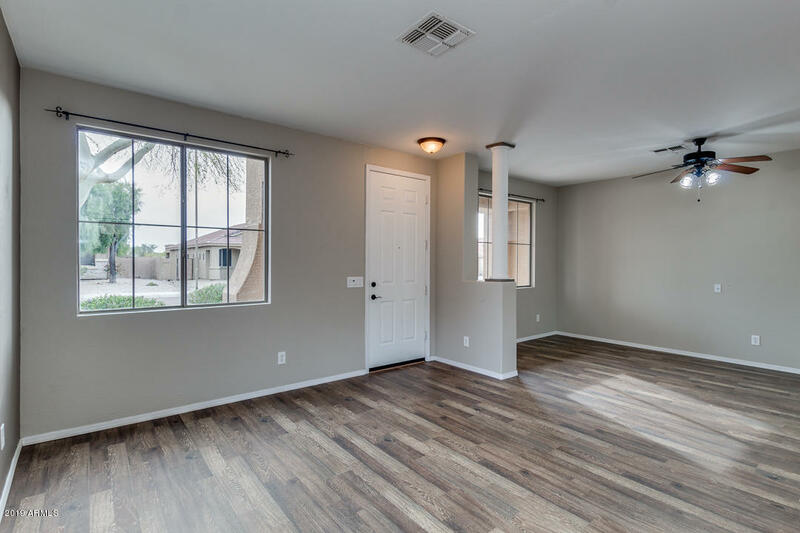 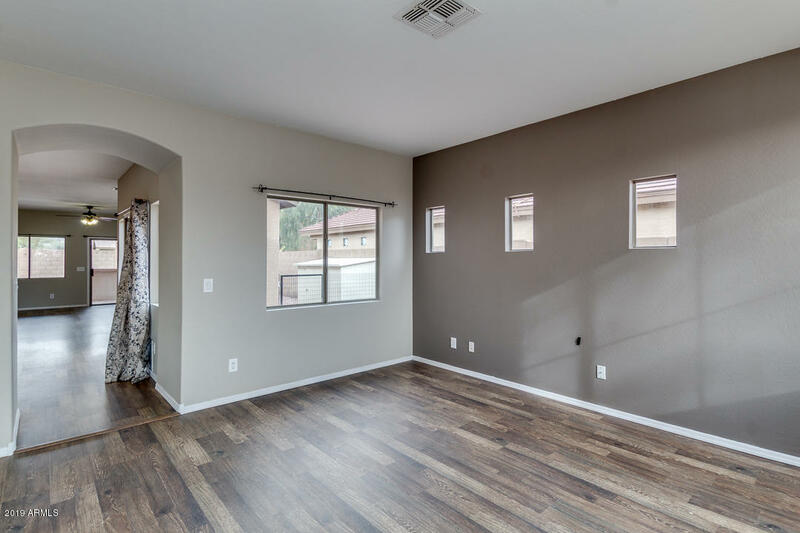 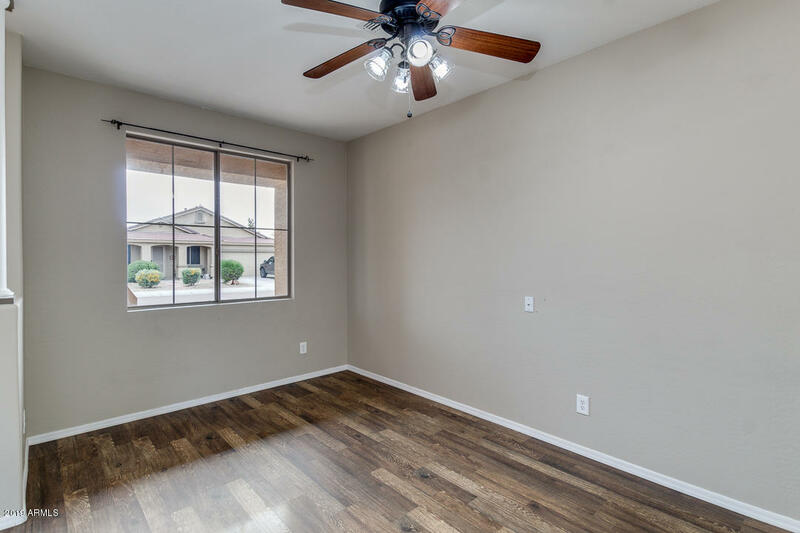 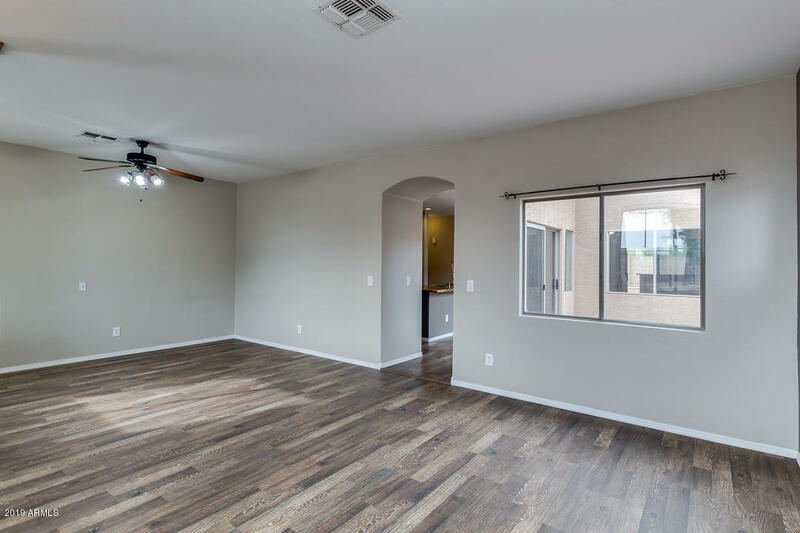 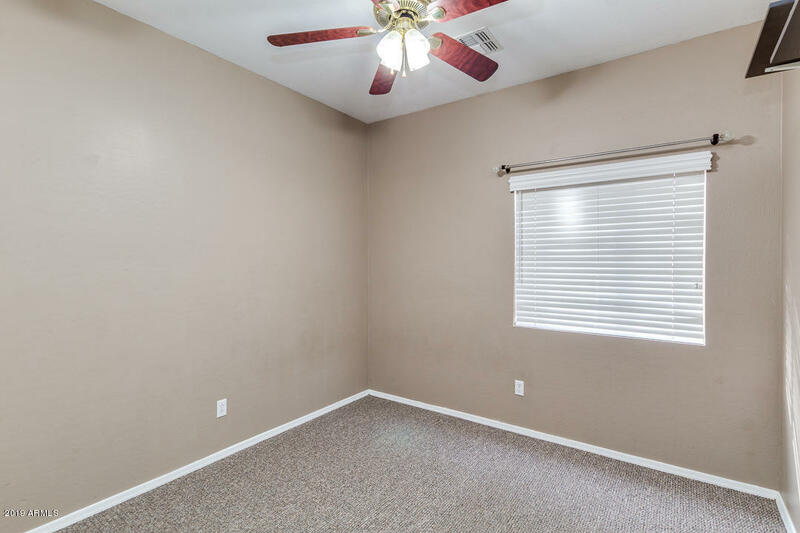 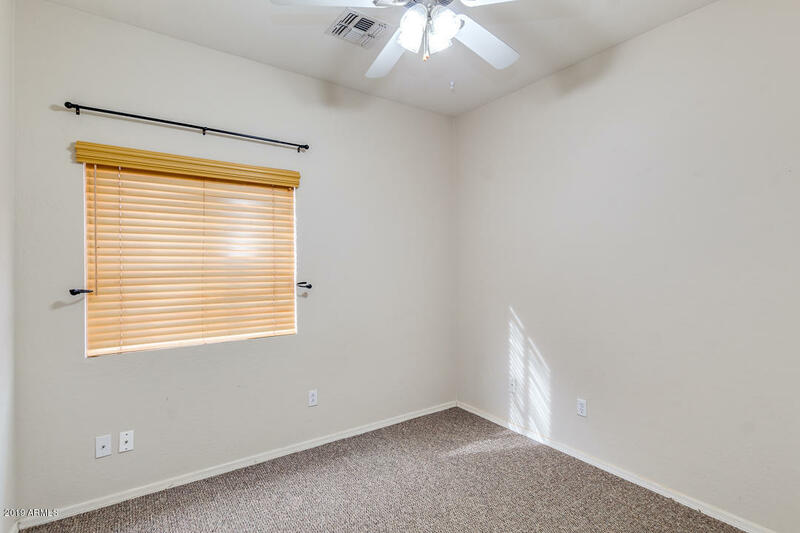 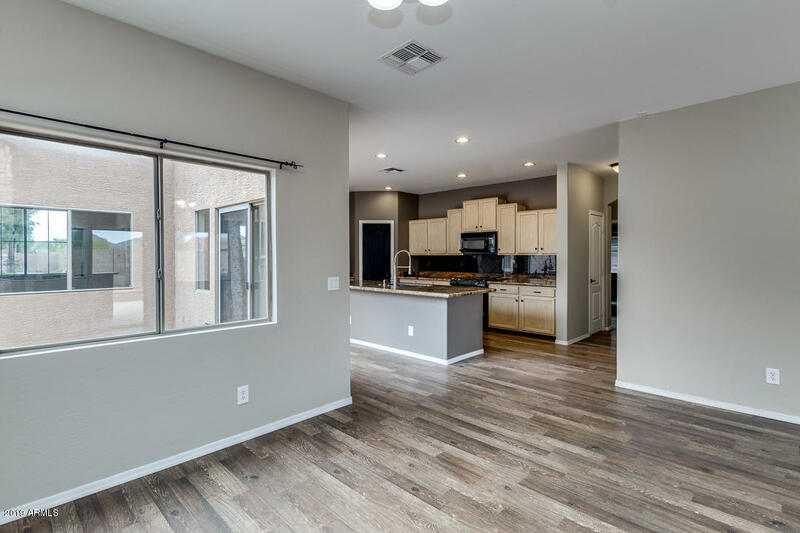 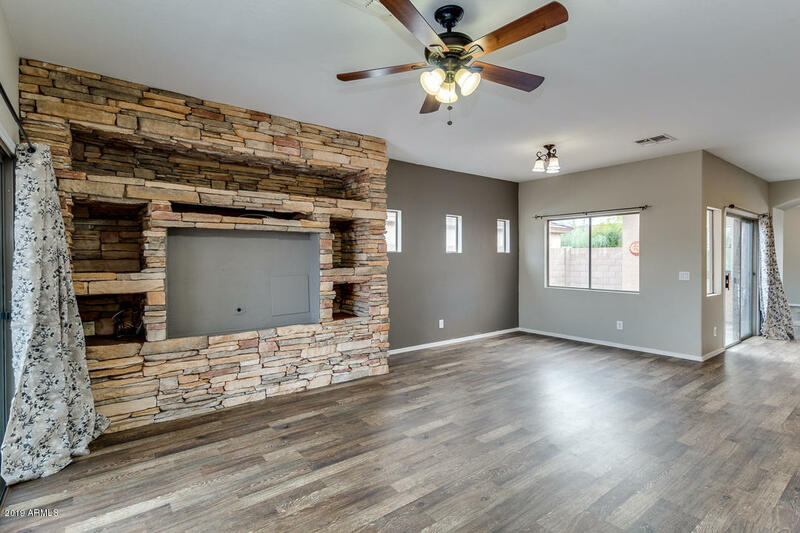 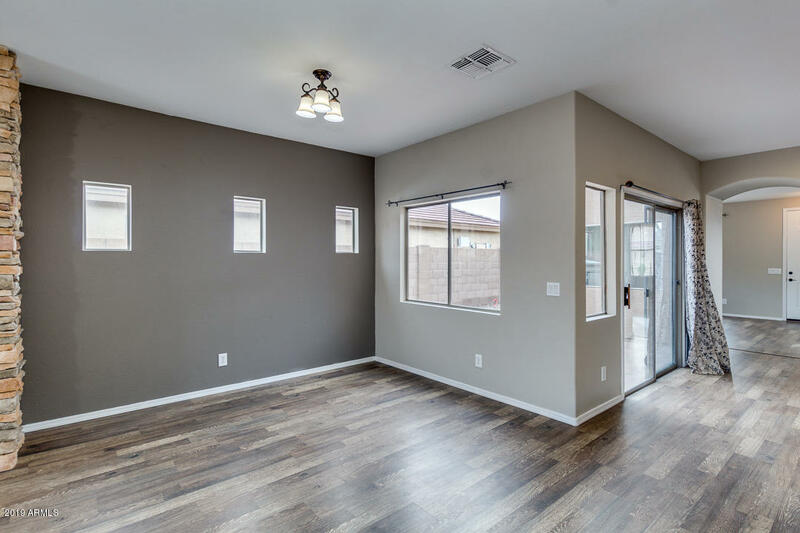 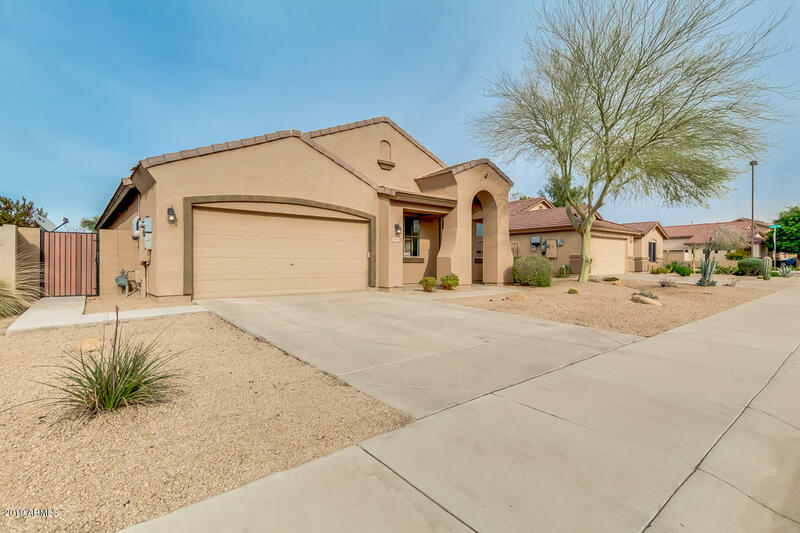 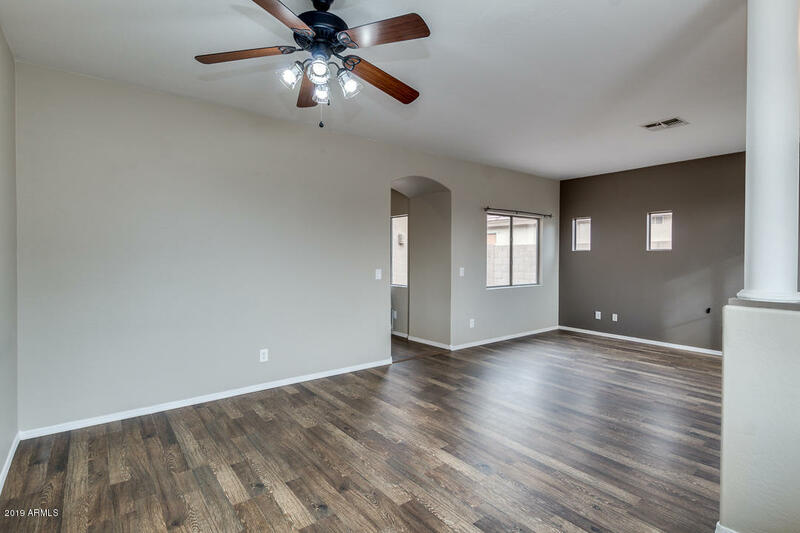 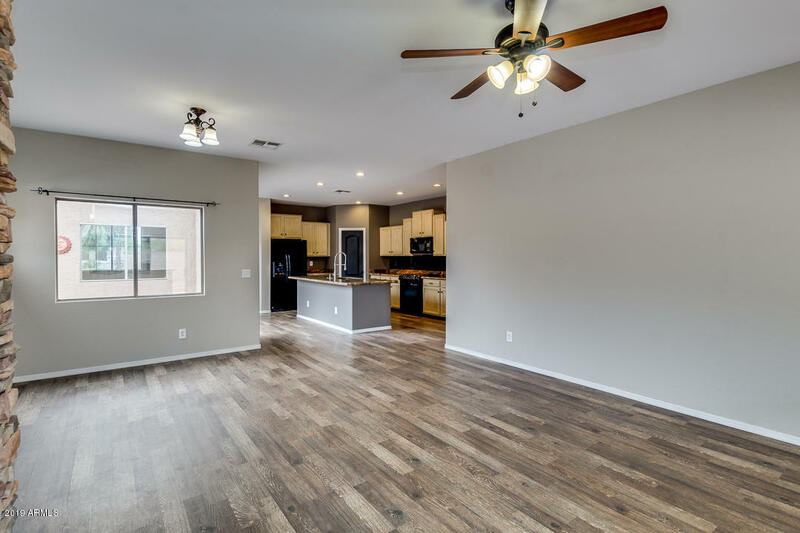 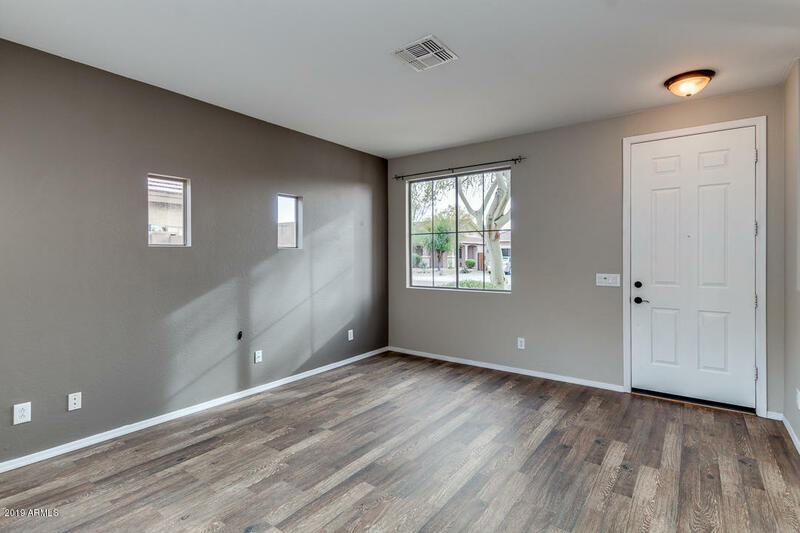 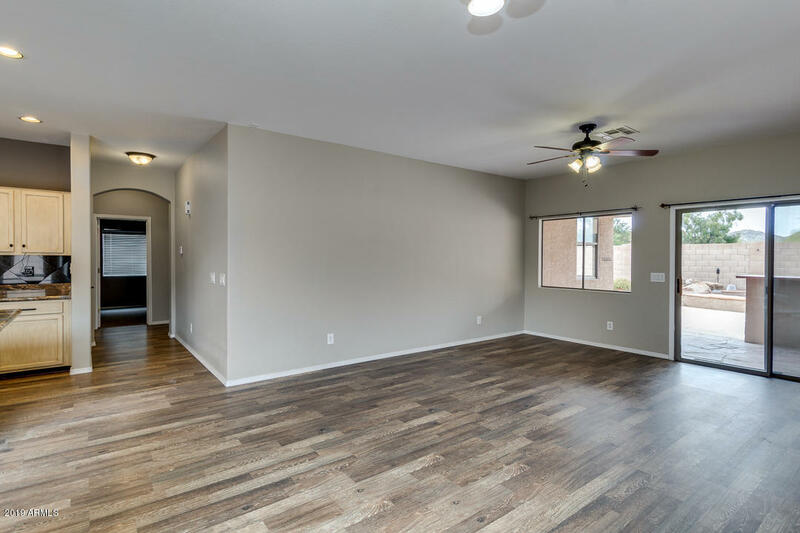 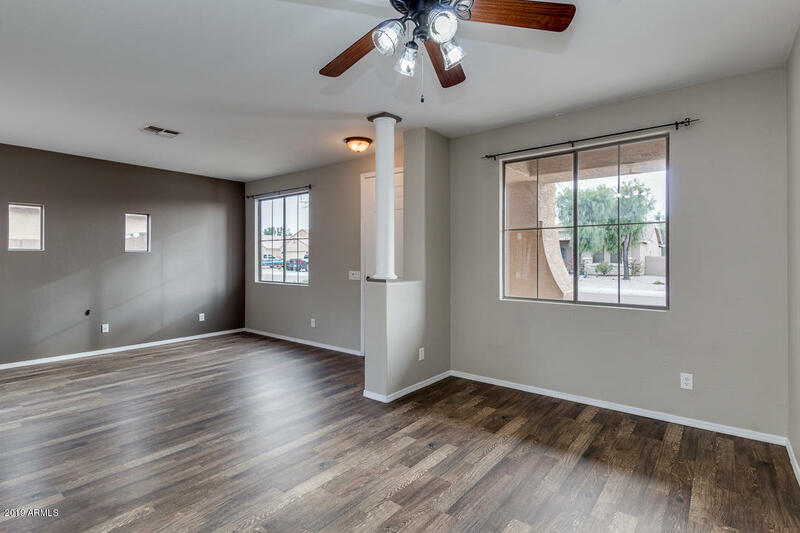 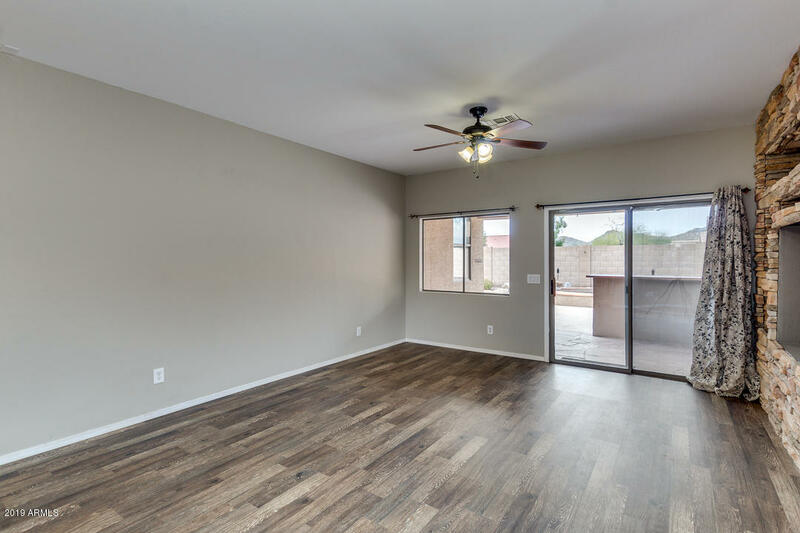 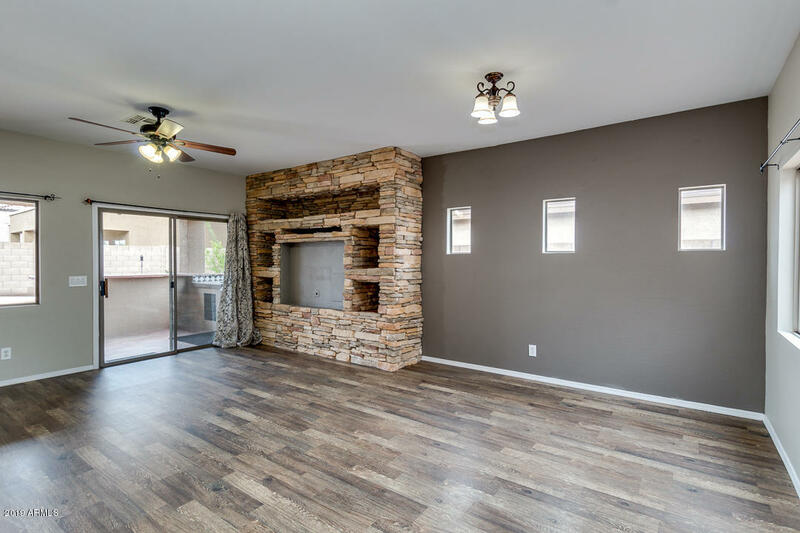 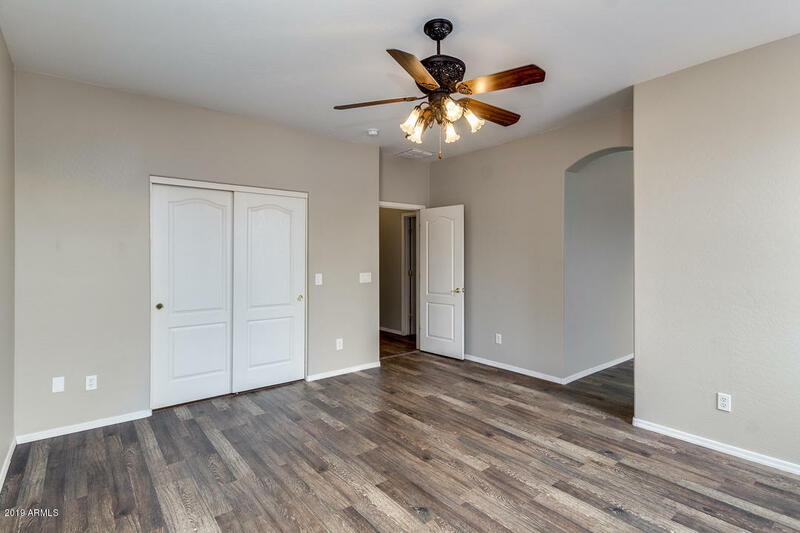 Captivating 4 bed, 2 bath home for sale in Goodyear nestled between the golf course & the lakes in the desirable community of Estrella Mountain Ranch. 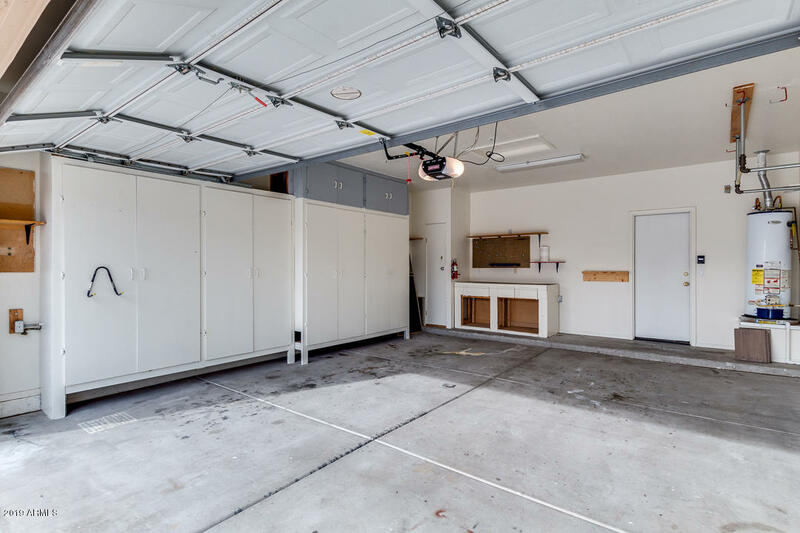 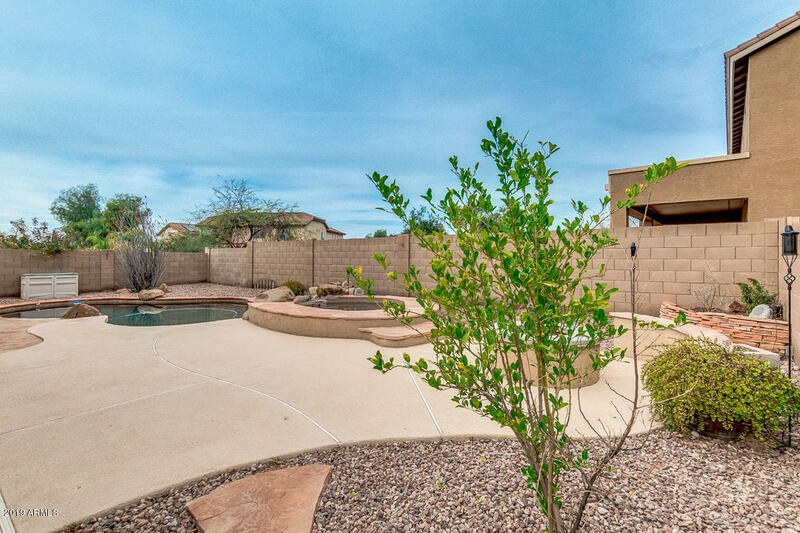 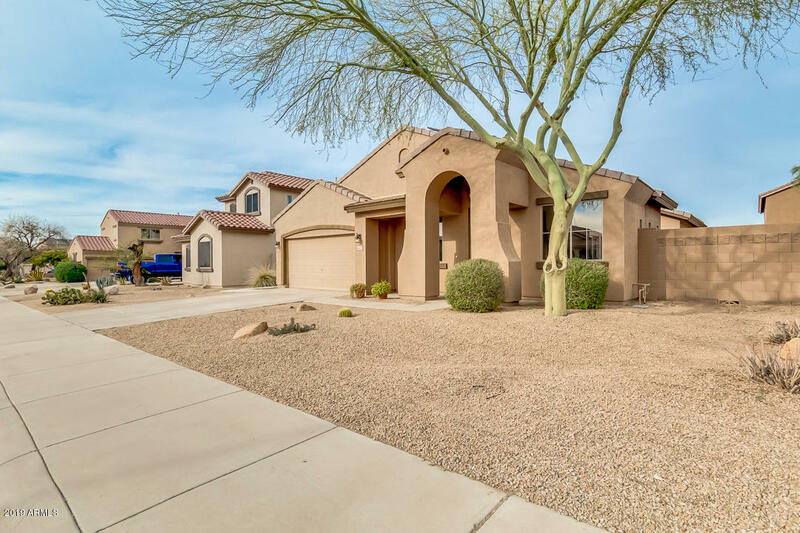 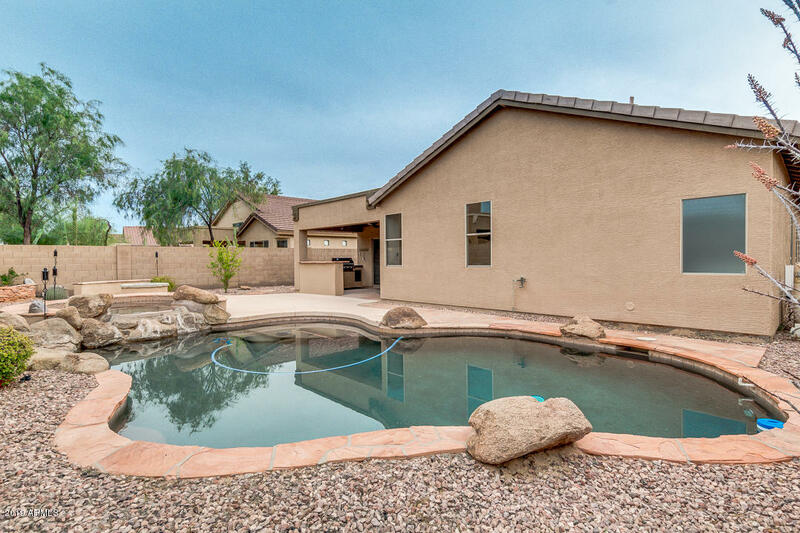 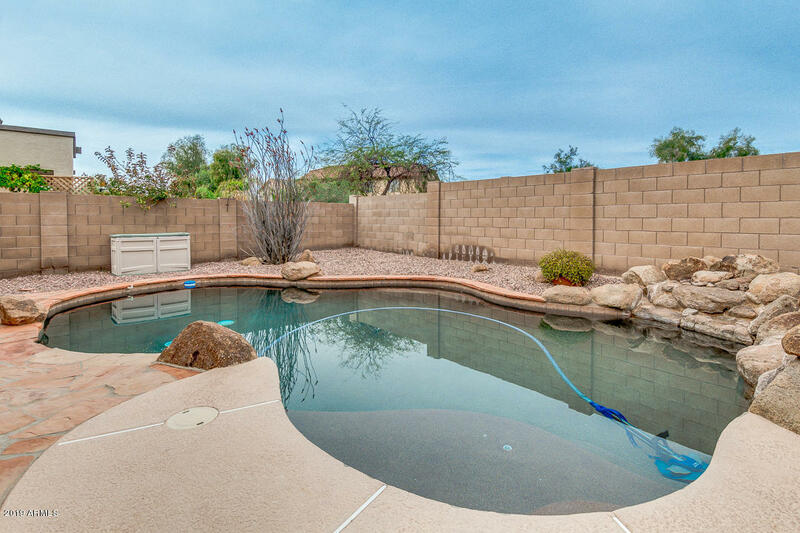 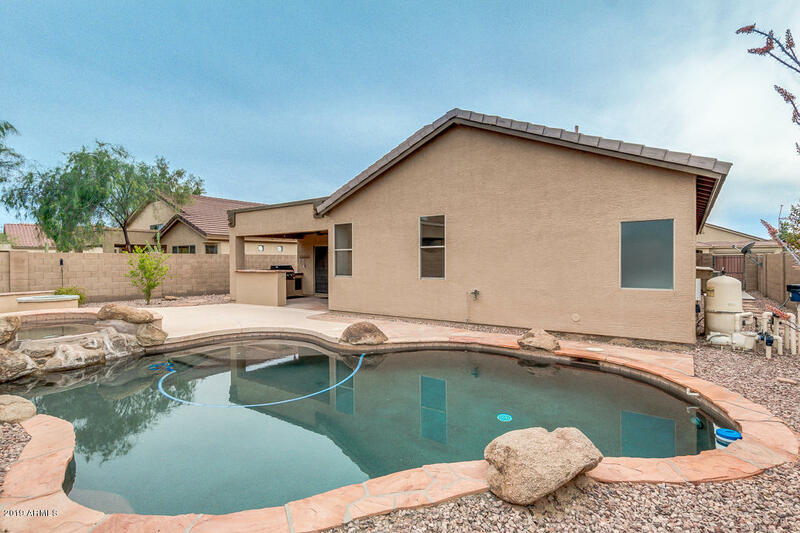 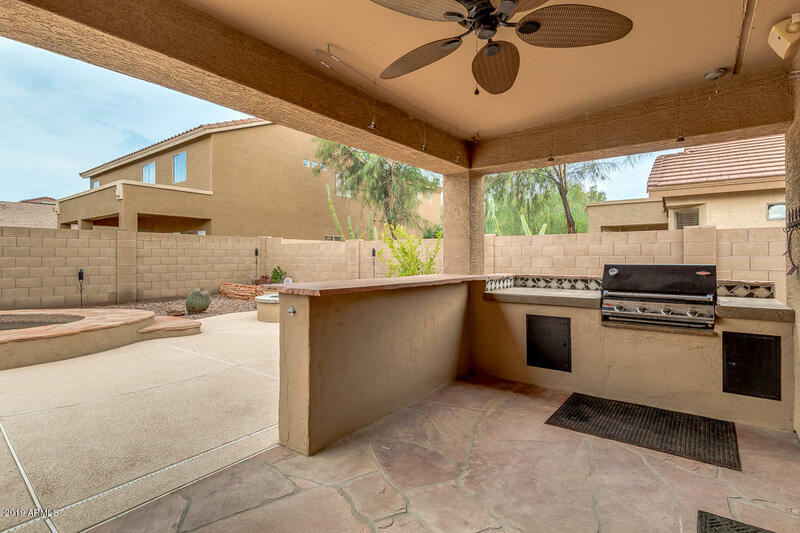 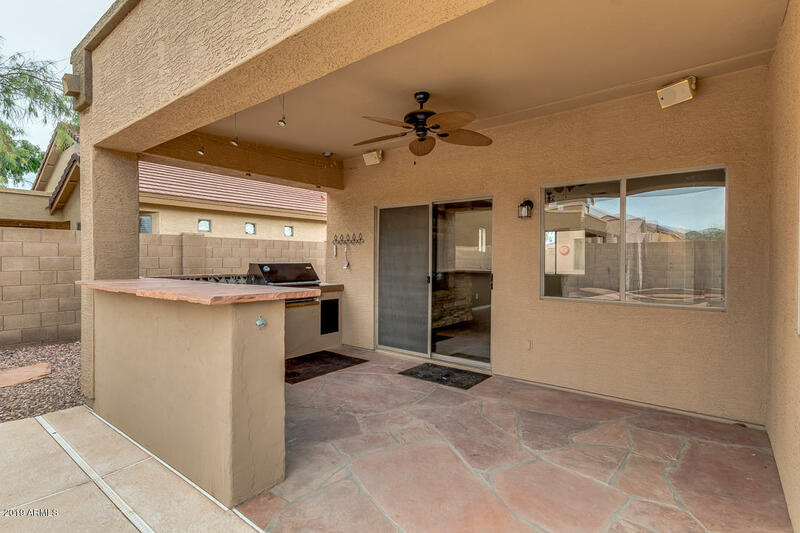 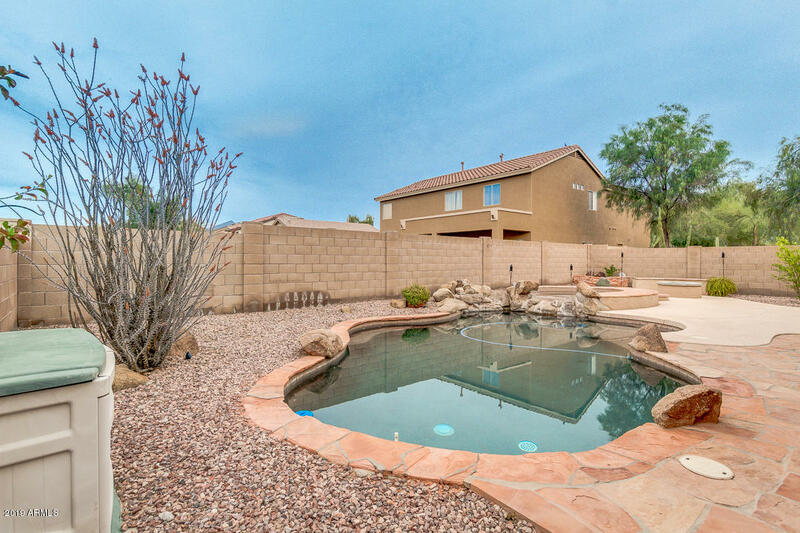 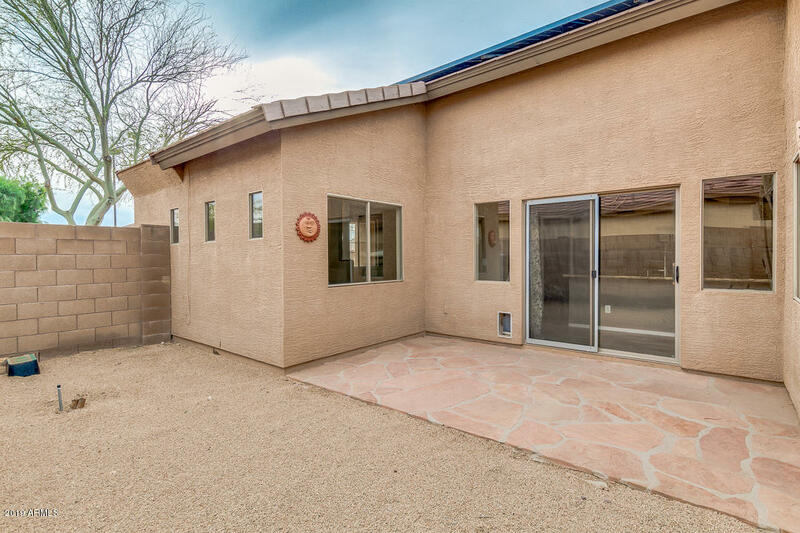 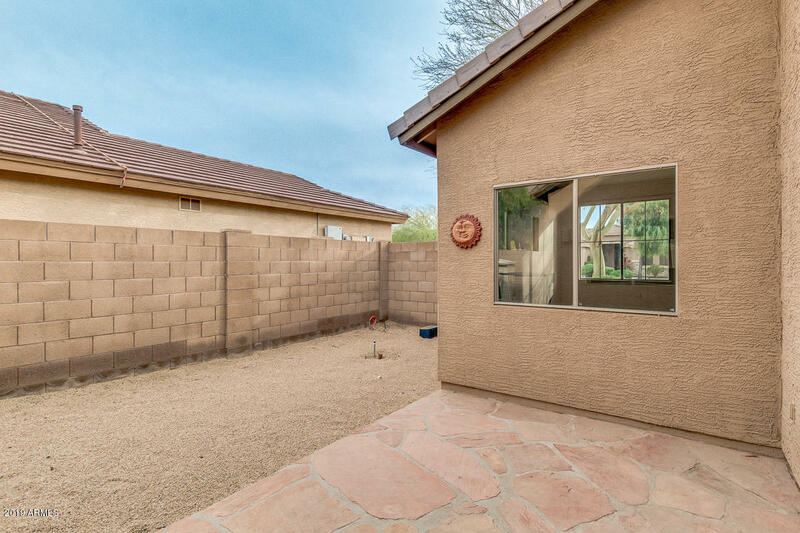 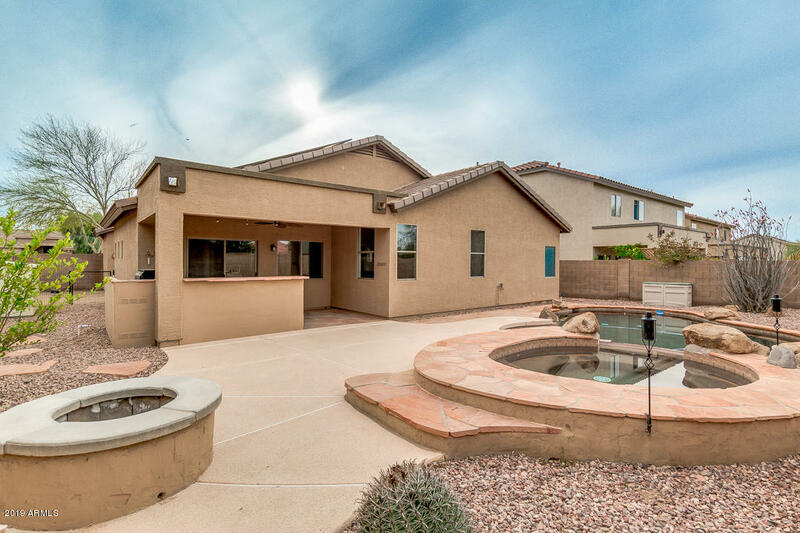 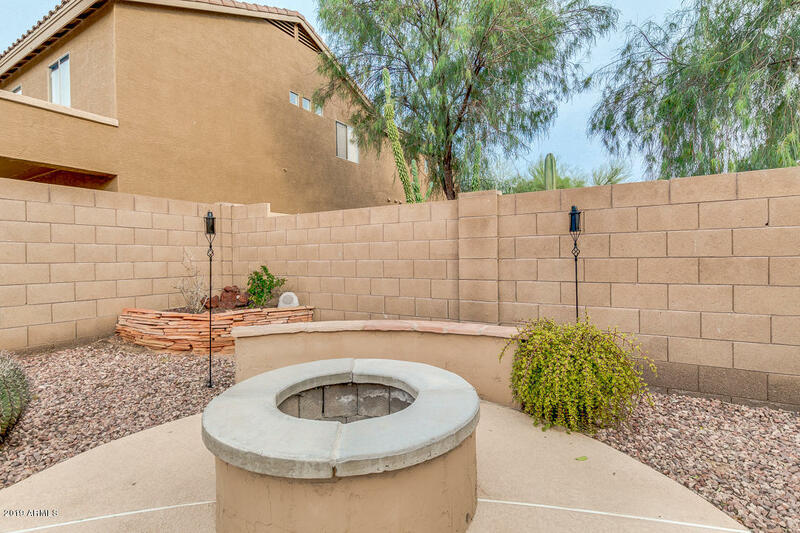 Fantastic curb appeal w/desert landscape & 2 car garage with built-in cabinets. 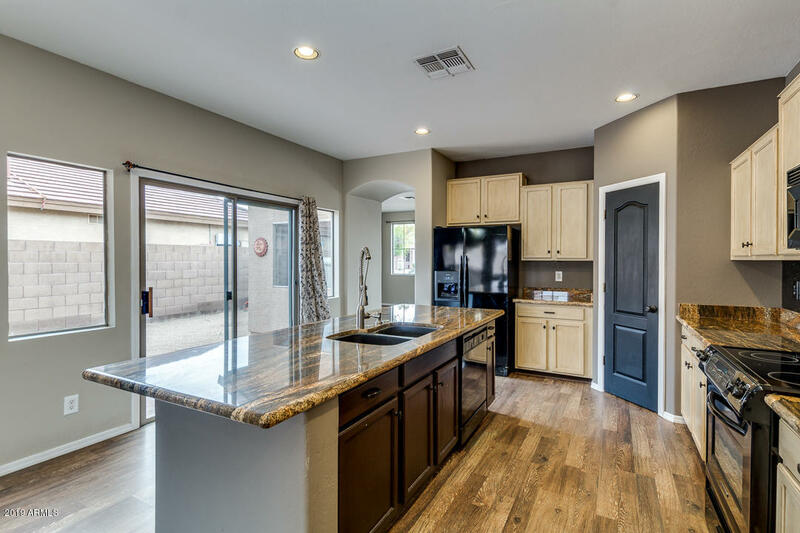 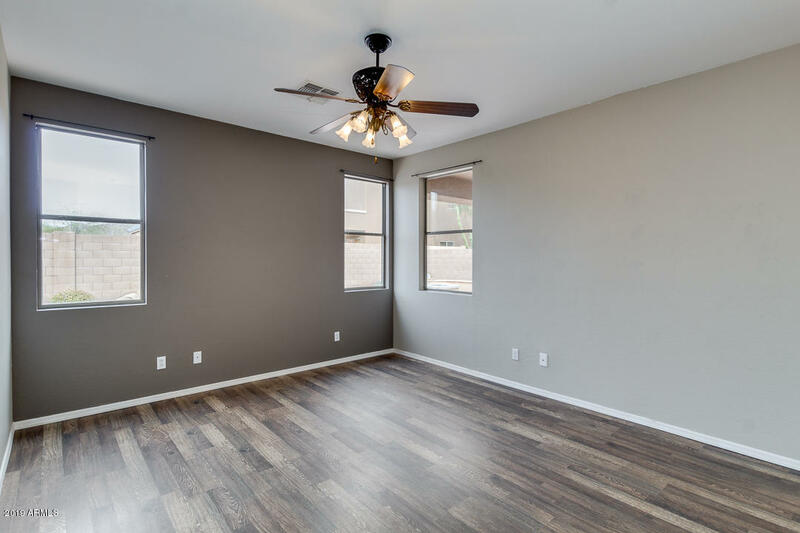 Stunning interior w/fresh designer paint, open living/dining areas, & upgraded flooring. 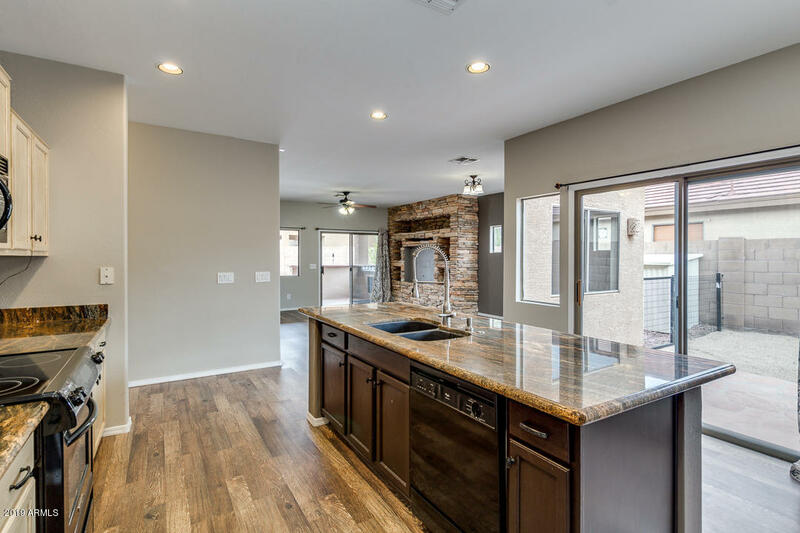 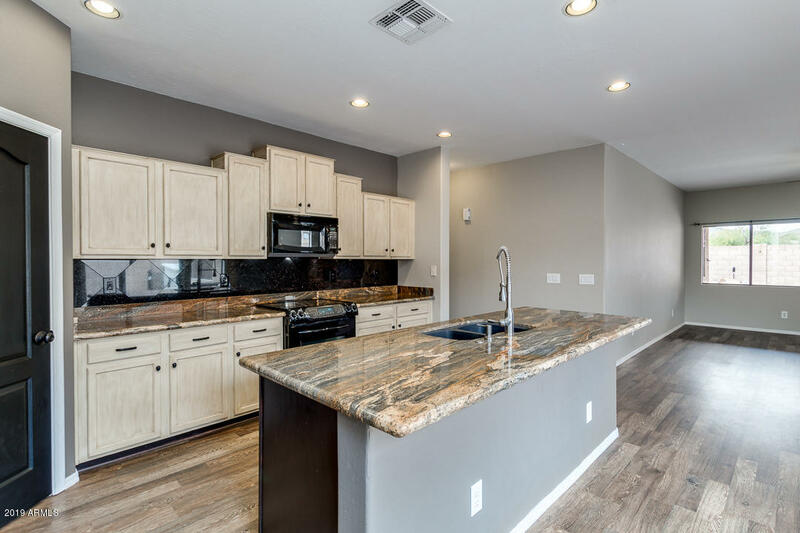 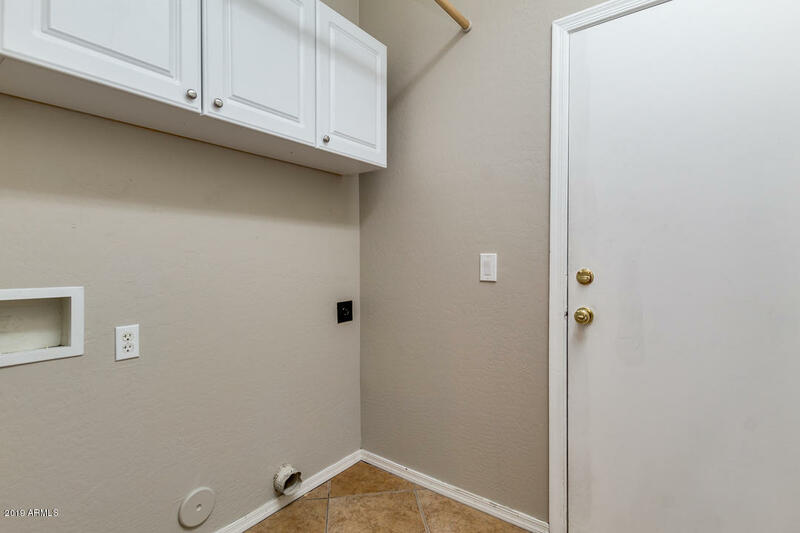 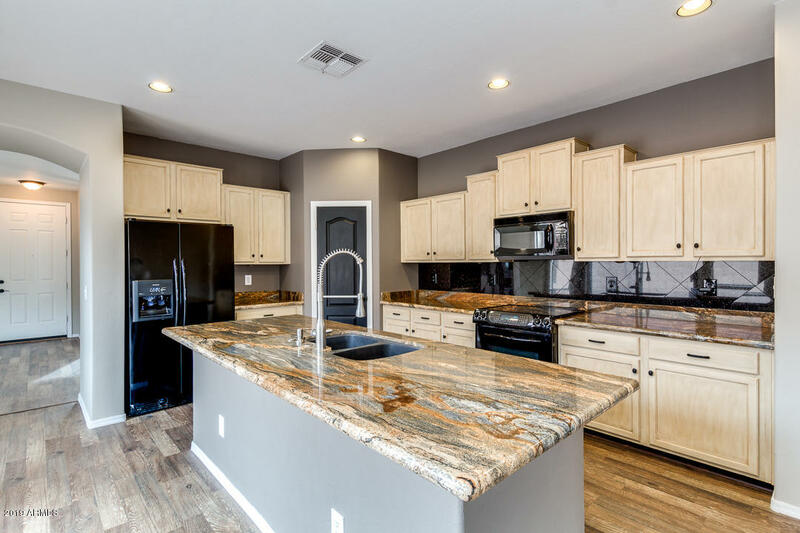 Immaculate kitchen w/beautiful granite counters, recessed lighting, island/breakfast bar w/center sink, custom backsplash, pantry, & side patio access. 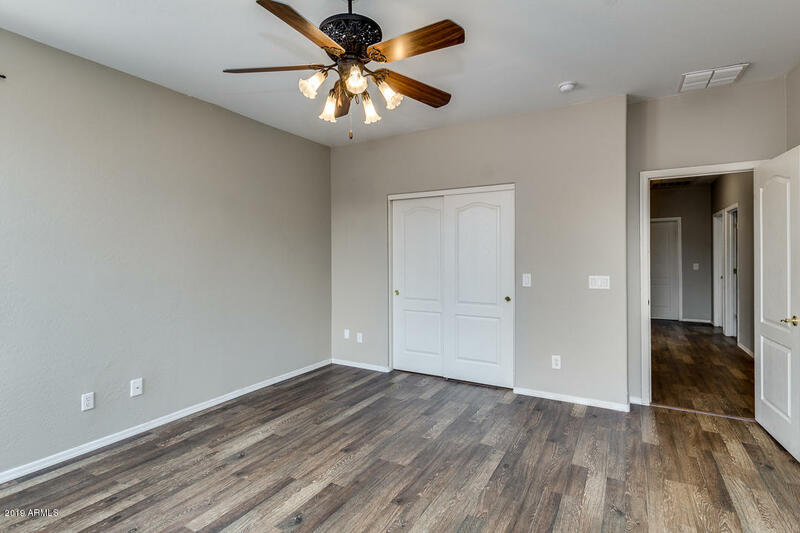 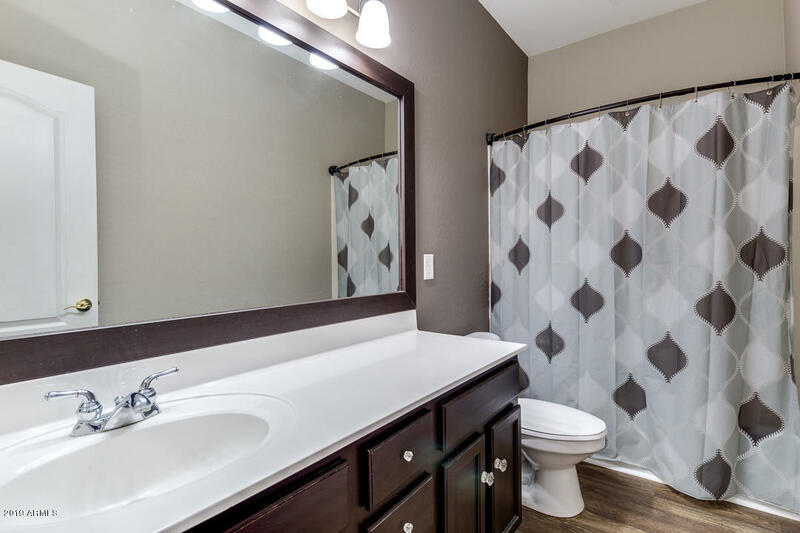 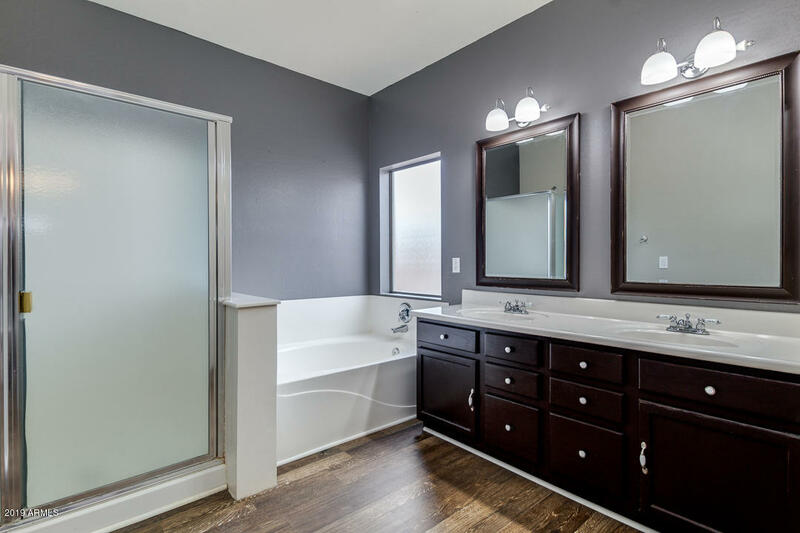 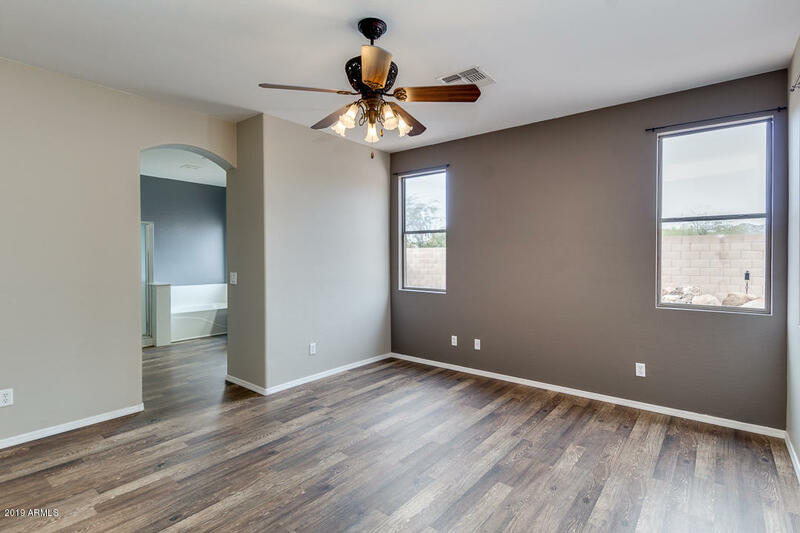 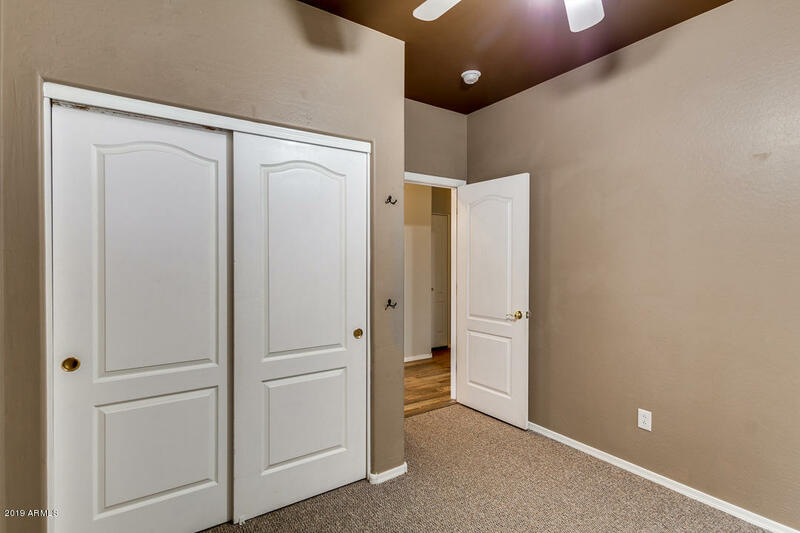 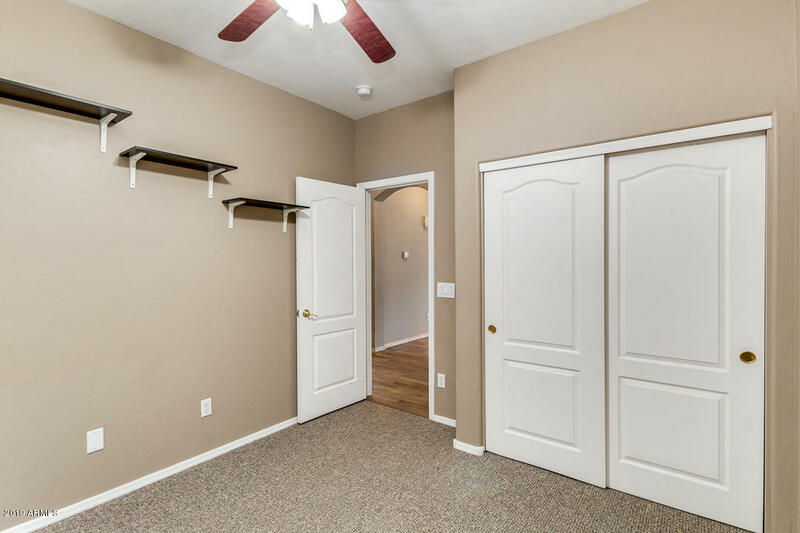 Perfect master suite w/walk-in closet & full bath; dual sinks, separate tub, & step-in shower. 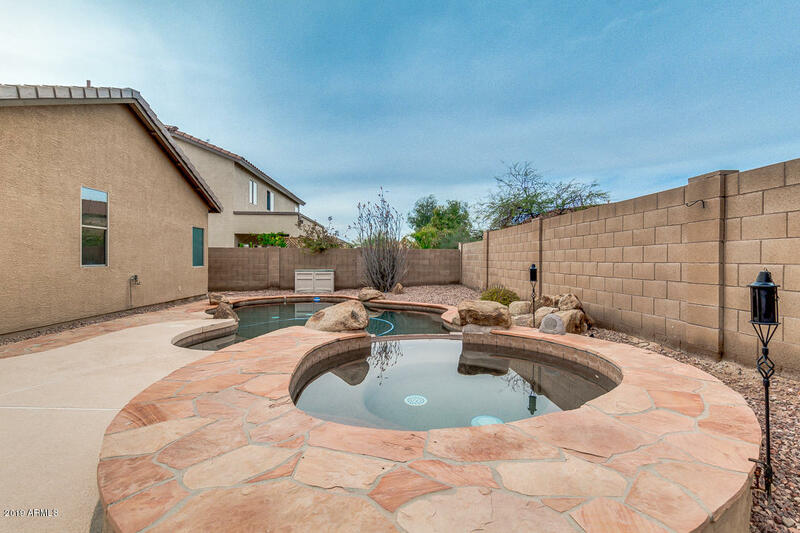 Entertainers backyard w/refreshing pool/spa, fire-pit, & covered patio w/built-in BBQ to be enjoyed year round. 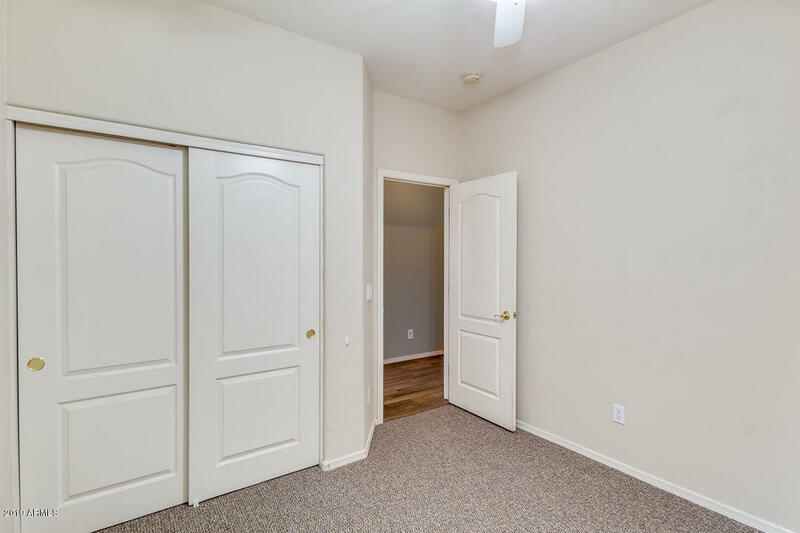 FULL 3D INTERIOR WALKTHROUGH - CLICK VIRTUAL TOUR!